What is the purpose of the 15 litre chemical spill kit? 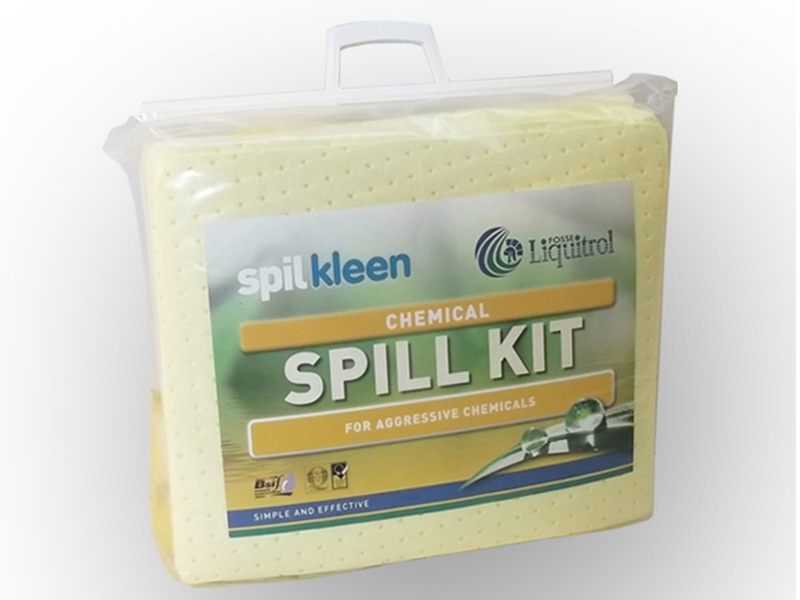 This 15 litre chemical spill kit from The Workplace Depot contains all the tools you need to quickly clean up and dispose of chemical spills. The absorbents in the kit are perfect for soaking up chemicals and can absorb just about any base of acid fluid. The absorbents are non-toxic as well as being non-reactive and make for the perfect choice for cleaning up a whole range of flammable, toxic, aggressive and corrosive liquids. Each 15 litre chemical spill kit is clearly labelled and contains a mixture of absorbents, disposal bags and pads. The kit comes in a transparent clip top carrier so you can find what you’re looking for in an emergency. Where can the 15 litre chemical spill kit be used? Anywhere where chemicals are used, be it warehouses, factories, petrol stations and more will find it useful to keep a kit at hand. 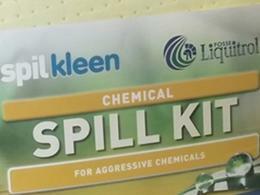 Who might use this 15 litre chemical spill kit? Factory and warehouse managers, delivery vehicles, detergent factories and anyone who works with chemicals and faces the possibility of spills. Order the kit from The Workplace Depot and get free delivery within 5 – 7 working days. We also offer a one-year warranty on parts and labour on all our products. 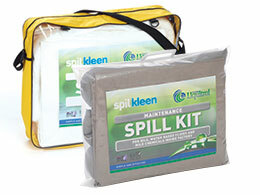 This basic spill kit is great value and ideal as a first response to the containment of spills. 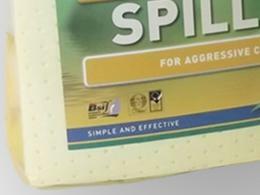 It has been designed to absorb aggressive fluids, including alkalis and acids. The kit comes in a clear plastic bag complete with clip closure and contains 8 absorbent pads and 3 x 1.2m absorbent socks. Place your order now. We accept most major credit cards and PayPal.